Halloween is upon us and that means beautifully carved pumpkins sitting outside, which also means a free meal to hungry wildlife. Personally, these are the kind of trick-or-treaters I prefer, but it’s not a good idea to lure wildlife to your home. 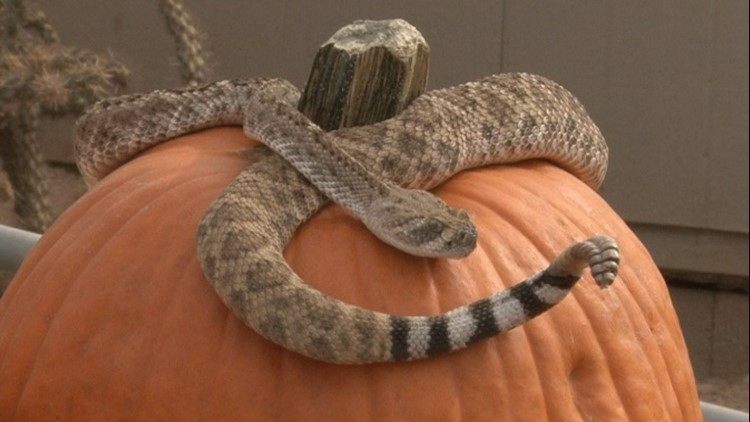 That’s why the Arizona Game and Fish Department (AZGFD) wants to remind residents that Halloween pumpkins, gourds or squash can attract wildlife to your front door, creating a very scary situation for the average homeowner. Keep live cornucopias and pumpkins displayed indoors or on a window sill so they can still be seen from the outside. Pumpkins in the desert can attract all types of animals from coyotes and javelina to bobcats and rattlesnakes. 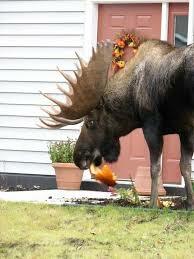 In the north, we’ve seen pictures and video of gourds attracting wildlife like bears, moose and mountain lions. Not only is it dangerous for the people to have an unexpected dinner visitor, it is beyond dangerous for animals. Pumpkins can make animals feel confident about entering residential areas (which inevitably leads to disaster for the animal), and can even cause them health problems. Keep the holidays safe and leave live displays indoors. It is illegal under state law (A.R.S. 13-2927) to feed wildlife in Pima, Maricopa and Pinal counties, with the exception of birds as well as tree squirrels, which are rare at lower elevations. Check out these javelina snacking on pumpkins! Learn more about Learning to Live with Bobcats and our Guide to Protecting Pets From Coyotes or visit AZ Game and Fish to download one of their informative guides on how to live with wildlife.